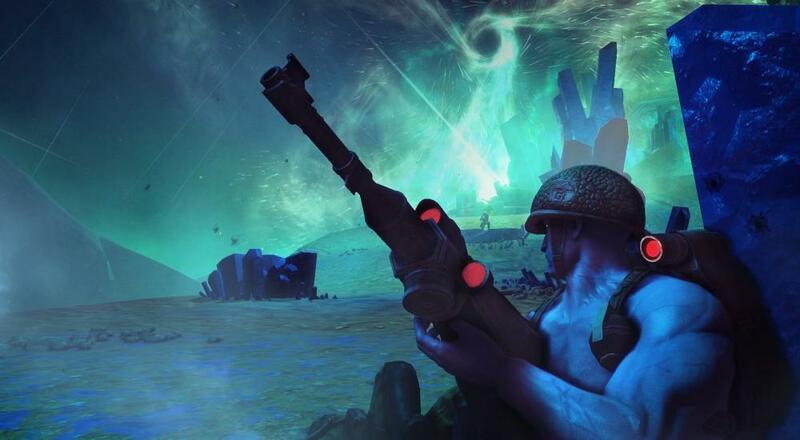 Rebellion's Rogue Trooper Redux, the remastered version of their 2006 release, is now available on Xbox One, PlayStation 4, Nintendo Switch, and PC. Need a refresher on what this game is all about? The new launch trailer should cover you there. Rogue Trooper Redux supports four player online co-op in two separate co-op modes: Stronghold and Progression. Players assume the role of one of the four squadmates - Rogue, Helm, Bagman, and Gunner - and play through a series of maps with the goal of holding out for as long as possible (Stronghold) or completing objectives to advance (Progression). Campaign co-op is not supported. Page created in 1.1767 seconds.